The question I am asked the most is “how to get rid of your dark spots/ melasma”. Here are all of my secret tips and tricks for you! I would love to say there is a happy ending to my melasma story but there isn’t. Melasma is like herpes… permanent. All you can do is try to keep it at bay. Fortunately, it is harmless, preventable and somewhat treatable. 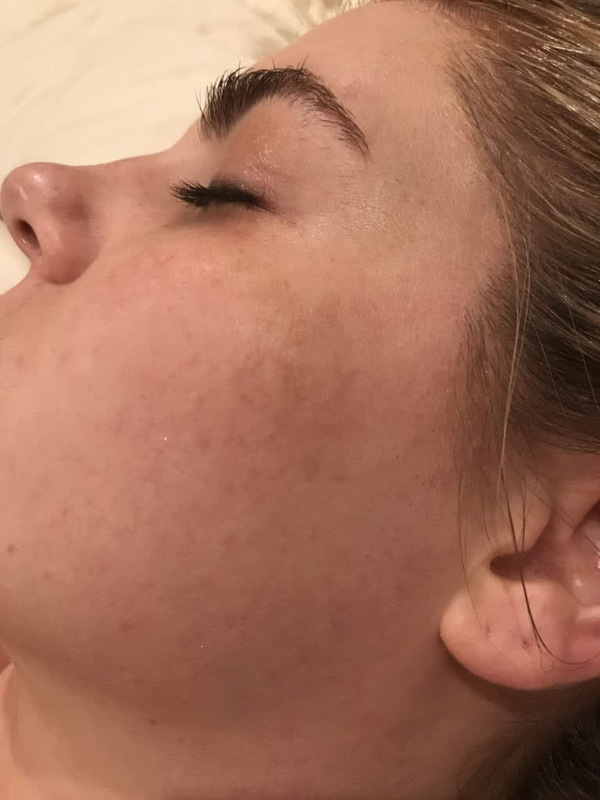 Melasma is a skin condition characterized by patches of brown, tan, and blue-gray skin discoloration, and it’s most often seen in women in the middle of their reproductive years. It is also known as “pregnancy mask” because 50% of women get it when they are pregnant. How do you know if you have Melasma or just hyperpigmentation? The two can look similar but melasma is pretty easy to spot. It usually appears on your cheeks, top of your nose, forehead, chin, and above the upper lip. It can also appear on other parts of the body that get a lot of sun, like your forearms and neck. Hyperpigmentation is the residual mark from a zit or other injury to the skin. They can be treated very similarly, but there are way more options to treat hyperpigmentation. If I could go back to my mid 20’s I would have worn sunscreen EVERYDAY, even when I worked inside an office. I was so nonchalant about sunscreen because I never burned and loved having a nice tan. BIG MISTAKE. Now I have these really fun permanent marks on my face. Also, wear hats when you’re out in the sun and try to avoid being in the sun during peak hours: 10am-2pm. If your melasma is from something like pregnancy or taking birth control, it may go away once you’re no longer pregnant or using any sort of hormones. Unfortunately, many of the products used to treat melasma aren’t pregnancy/ breastfeeding safe so please speak with your doctor before you use anything I suggest. Ok, so you have it… Now what? 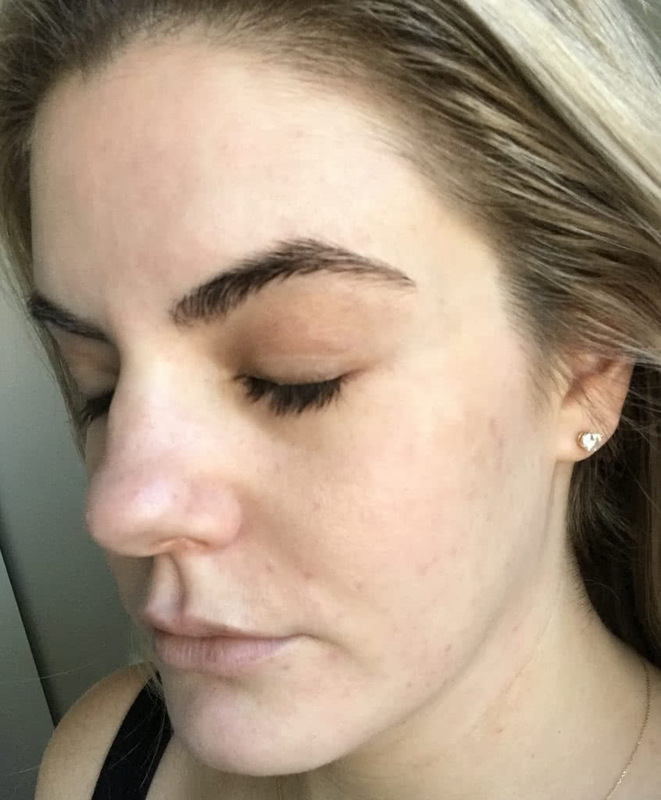 DO NOT GET A PHOTOFACIAL. I REPEAT- STAY AWAY FROM LASERS- ESPECIALLY IPL!!! Besides that, start treating it right away!!! 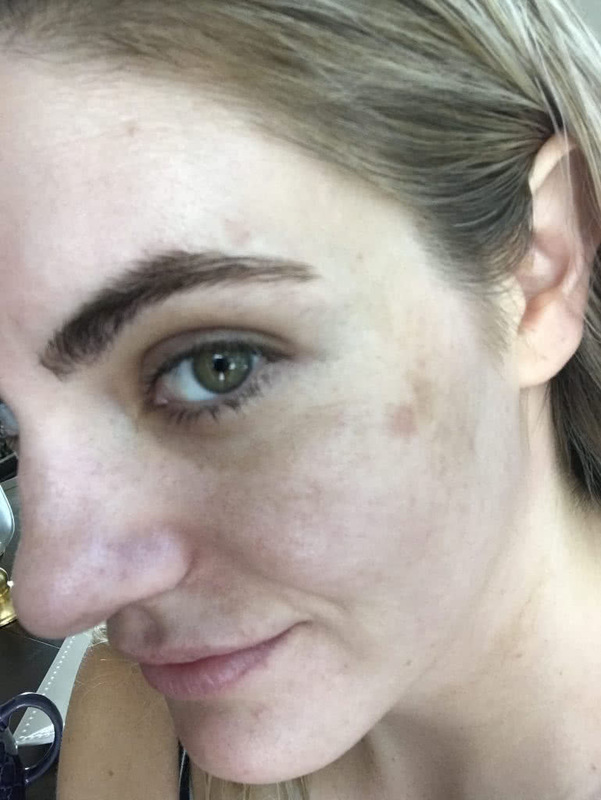 The pigment in brown spots (melanin) moves deeper into the skin over time, so a spot is easiest to erase when it’s still relatively new. With that said, it is never too late to start trying. They say the best time to plant a tree is 10 years ago or today. Think of melasma like that. There are some easy changes you can make that will immediately help. -find a physical sunscreen you LOVE and wear it EVERYDAY (yes, even when it’s cloudy). This took me forever because I have combination skin and I felt like most sunscreens are greasy. -Wear wide-brimmed hats/ visors to protect your face when you’re outside. -Don’t wax any areas that are affected because it can cause skin inflammation that can make melasma worse. – Avoid heat whenever possible. Hot yoga, steam rooms, saunas, steam from cooking. Basically, if you feel warmth on your skin, you are activating your melasma. -I just discovered these pills that contain specific antioxidants that help fight against the harmful effects of free radicals, which will fight skin sensitivity and pigment from the inside! My makeup-free skin today- not perfect but so much better! The good news is that melasma is something you can try to treat at home! -Hydroquinone is the most common treatment for melasma. It lightens skin by affecting melanin production in the targeted areas, and you can get maximum of 2% hydroquinone over-the-counter or 4% in a prescription. Medical Spa’s and dermatologists can prescribe this for you. hydroquinone is not a long-term daily treatment. Start using it every few days to let your skin adjust. Then increase it to daily. Only use it for 3 months then take a break for at least 4-6 weeks. I suggest taking before pictures to track your progress! -During the break from hydroquinone, you can use great alternatives like azelaic acid, kojic acid, vitamin C, licorice or soy. Here are the links for amazing products to treat your melasma topically! Many of these products I listed are pricey but so worth it! Being happy with your skin feels so good and you deserve to love the skin you’re in! On another note, now that you’ll be avoiding the sun, check out this post to see my favorite drugstore self-tanner! I hope this helps! Leave any other questions you have in the comments. Since I’ve been lucky enough to acquire melasma I’ve been protecting my face everyday, but I hardly ever put sunscreen on the rest of my body. Recently someone told me that if the sun touches my body anywhere not including my face it could trigger the melasma on my lip. Any idea if this is true?